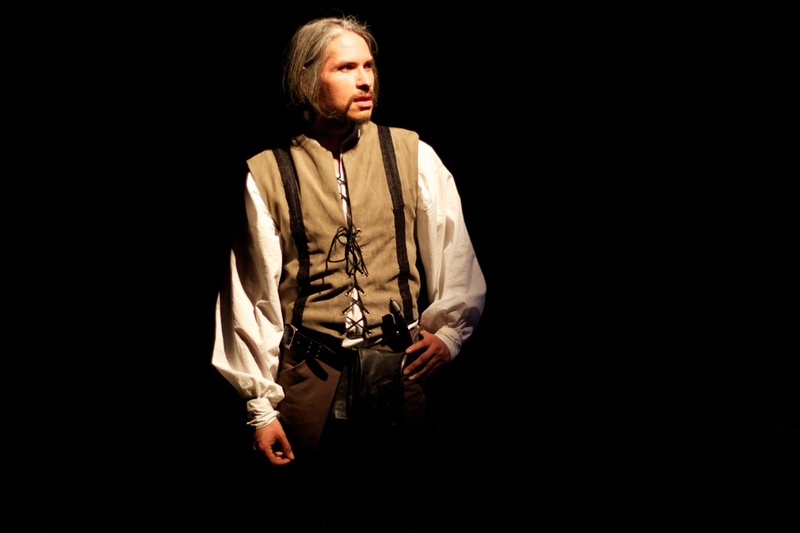 Since J Hernandez first arrived on the scene and quickly captured Philadelphia’s attention with his acclaimed portrayal of Iago in the Philadelphia Shakespeare Theatre’s 2013 production of Othello (for which he was recognized with a Phindie Critics Choice Award for Best Performance by a Supporting Actor, in a year without the Barrymore Awards), he has been a constant presence on stage here. From Shakespeare and the classics to new plays and comedy, the Texas native does it all. With a full slate again this season, after officially relocating to the city in the late summer of 2014, the busy actor made time in his schedule to talk to Phindie about his background, his reception in Philadelphia, and his upcoming shows and future aspirations. PHINDIE: What first brought you to Philadelphia? J HERNANDEZ: Mr. Forrest McClendon brought me here! It was through an interaction on Facebook. We did a production of Romeo and Juliet at The North Carolina Shakespeare Festival in 2012; we never had a scene together (he was Friar Lawrence, I was Mercutio), but he was watching, and he extended a helping hand to a new artist trying to get a start. He said he was doing something in Philadelphia that he thought I should come up to read for; it was Othello at the Philadelphia Shakespeare Theatre. It was an incredible opportunity, and something that is rarely seen: two artists of color, of different ethnicities, squaring off. PHINDIE:Yes, Forrest is so generous and supportive–such a remarkable talent and an extraordinary human being. JH: He is indeed. Up until Philadelphia, I’d only known life on the road as an actor, touring, mostly for students. So this was more than a role, it gave me a whole community. PHINDIE: What keeps you here? JH: Just that–the community that we have. It’s so surprising how incredibly supportive it is. It’s one thing to show up in a new place, it’s another thing to be so overwhelmingly accepted; it’s all been so completely positive! 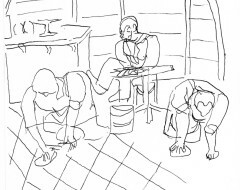 Also the amount of non-equity work that’s available here is exceptional. Seeing Aaron Cromie’s brilliant version of Henry V at the Philadelphia Shakespeare Theatre, using a young non-equity cast and still being Barrymore-nominated, is tremendous. And the variety of work here is astonishing, from Theatre Horizon’s Circle Mirror Transformation out in Norristown, to Chris Davis and Corinna Burns on a rooftop in South Philly in Bortle 8 and Internet Stalker for the SoLow Fest, to the Fringe offerings throughout the city’s neighborhoods. PHINDIE: What are the main differences between the Philadelphia theater community and the others in which you’ve worked? Is there anything you’ve seen that makes Philadelphia unique, or more sustainable? JH: There is an obvious appreciation for the arts here, and it’s widespread. You can take the regional rail to any suburb and find a theater, the arts aren’t just confined to Center City. Coming from Texas and North Carolina, there were a few main urban centers with theaters, but the opportunities to see a play were too few and far between. That’s definitely not the case here; you can always find something going on, both in and around Philly. PHINDIE: You’ve been working almost non-stop since you first arrived in Philadelphia, in a wide range of roles and with a variety of companies. Do you have a favorite period/genre/playwright, or do you enjoy the diversity of characters and styles you’ve played? JH: That’s a hard one. Yes, Shakespeare, of course, always comes first, because that’s where my training has been, in Renaissance and the classics, so it always pays the bills! But Philadelphia has given me a taste for contemporary work, as well. 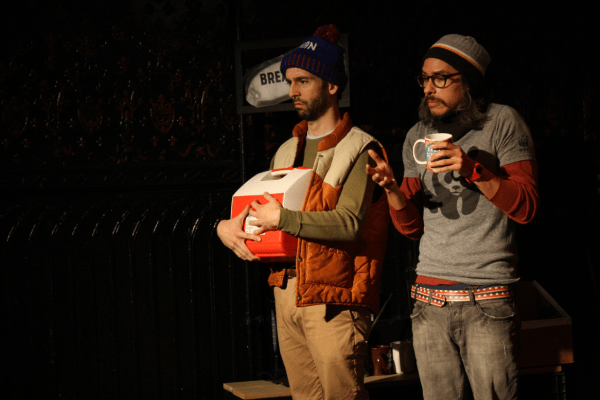 I hadn’t done a contemporary comedy since 2006, so Emma Goidel’s We Can All Agree to Pretend this Never Happened in Tiny Dynamite’s A Play, A Pie and A Pint series this past October was a great experience, I enjoyed being able to do new comedy again. But even when working in the same genre of Shakespearean tragedy, there is still variety in the characters’ personalities and motivations. Every role is different, each character has his own flaws, insecurities, troubles, and story that surrounds him. PHINDIE: One of the recent issues in Philadelphia over the past year has been the relative paucity of good roles and limited opportunities for anyone other than white males. 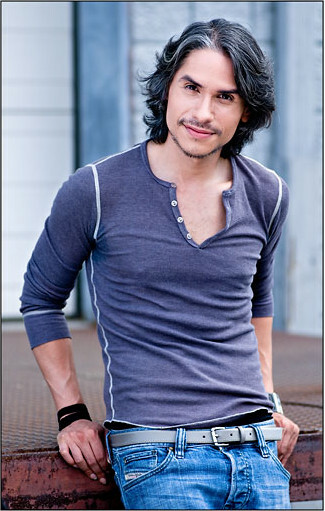 As a Latino actor, has that had any effect on your career, either here or elsewhere? JH: I am fortunate to say that it hasn’t. One good example is New City Stage Company’s Frost/Nixon, directed by Aaron Cromie. Jim Reston, the real-life historian and journalist I played, is white. But when they cast me, they said it didn’t matter, I was right for the role. So I always do my best to come prepared for the audition, to have a good attitude, and not to worry about whether or not the ethnicity matches my own. PHINDIE: I find that most people in the arts knew what they wanted to do from a very early age. What’s your first creative memory, and when did you first realize you were destined to be an actor? JH: [Hesitates.] Acting wasn’t what I wanted to do, I just kind of fell into it, accidentally. It all happened because there was a girl I was trying to impress in junior high school! And I didn’t like theater at first, it was work. There was no great epiphany for me, it was something I really had to work hard at, just trying to figure it out, so it took me a while. What started to spur my interest and eventual love was looking at my classmates and gathering inspiration from them; I wanted to find that feeling in myself that they had for the theater. I actually had aspirations to be a history teacher, who played drums on the side, in a cover band! PHINDIE: Being a history teacher isn’t all that different from being a classical actor. Both professions transport you to another time and place, and both require speaking in front of a group, be it an audience or a class. JH: I guess that’s true, I hadn’t thought of it that way before; it is all related. PHINDIE: Judging by how well you’ve been received in Philadelphia, I assume you’re happy with your choice? JH: Oh, yeah! 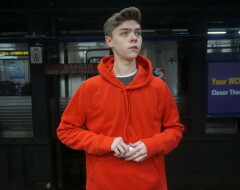 I’m definitely happy with my choice of being an actor, and with making South Philly my home. I haven’t had a permanent home in a very long time, and I never had the experience before of being in demand, so it’s been great to have that here! It’s kind of insecure being a transplant, integrating into an existing community. I’ve always tried to be a part of wherever I am, and I was so taken by Philadelphia, I just had to live here. PHINDIE: What can we look forward to seeing you in for the remainder of this season? JH: Right now I’m working at Jenkintown High School, again thanks to Forrest McClendon, as a production assistant on The Complete Works of William Shakespeare (Abridged). The kids are fantastic, they’re doing a great job! 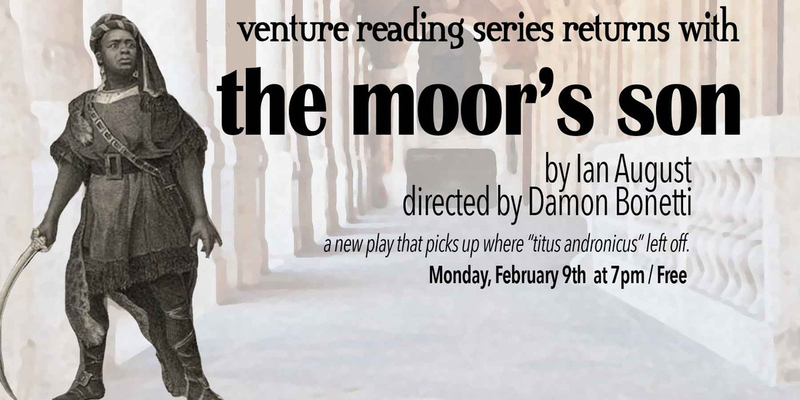 I’ll be in the Philadelphia Artists’ Collective’s reading of The Moor’s Son this coming Monday, February 9, 7 pm, at the Broad Street Ministry, directed by Damon Bonetti–a major man-crush! It’s a new play by Ian August, a continuation of Shakespeare’s Titus Andronicus. Not to give anything away, but as with Shakespeare, there’s tragedy, there’s revenge, there’s reconciliation, and a bit of the supernatural. And how often do you get to see a new work that picks up where Shakespeare left off? It’s fascinating. Then The Taming of the Shrew is up next at the Lantern, going into previews on March 19; I’ll be playing Petruchio. I had to ask director Charles McMahon three times when he cast me, “Are you sure? !” It will definitely be a challenge, both in terms of brushing up my Shakespearean comedic chops, and also picking up my ballroom dancing skills, since Charles’s vision here is to frame the battle of the sexes in the context of the tango. K.O. DelMarcelle is doing the choreography, and I’m anxious to get into rehearsals for that. And then in the summer I will be in the Commonwealth Classic Theatre Company’s world premiere of Paul Parente’s Rage of Achilles, directed by Damon Bonetti and featuring Charlotte Northeast and Adam Altman. PHINDIE: What has been your favorite role to date, and what is the dream role you hope to play in the future? JH: Still Iago! I am grateful to both Forrest McClendon and director Carmen Khan for taking a chance on an unknown kid. The ensemble, the production, everything about that show was unbeatable. In the future, it would be nice to do some Stephen Adly Guirgis, like Jesus Hopped the “A” Train. 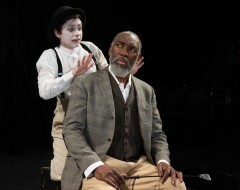 Also I would love to do Roosters by Milcha Sanchez-Scott; I know Theatre Exile did it in 2008. And I’ve never played Hamlet before–and I’m running out of time! PHINDIE: Thanks, J! I know I’m not alone in wishing you much happiness and continued success in Philadelphia. J. Hernandez appears in the Philadelphia Artists Collective’s FREE reading of THE MOOR’S SON [Broad Street Ministry, 315 South Broad Street] February 9, 2015; philartistscollective.org. and Lantern Theater Company’s production of THE TAMING OF THE SHREW [St. Stephen's Theater, 923 Ludlow Street] March 19-April 26, 2015; lanterntheater.org. What a wonderful interview, Deb, featuring another fine actor who has become not only popular in Philly within a short period of time, but who has become an ambassador for Philadelphia theatre arts. Hello Houston, hello New York–is anyone listening?